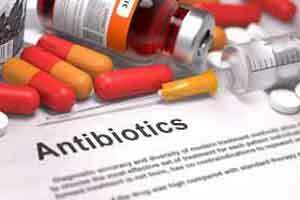 New York : Taking antibiotics for a longer time not only can change the microbiota of our gut but also push growth of harmful pathogens, leading to diseases, researchers have found. The findings showed that pathogens like Salmonella flourish in the gut after antibiotic treatment because of the increased availability of oxidised sugars. The oral antibiotic treatment increases the synthesis of a host enzyme that generates nitric oxide radicals. This can oxidise sugars into sugar acids, such as galactarate, which acts as a key driver of Salmonella growth. “Research has traditionally focused on the mechanisms by which antibiotics help control the growth of bacteria or inform the development of new formulations when bacteria become resistant to existing drugs,” said lead author Franziska Faber at University of California Davis. The usage of antibiotic also elevates the risk of contracting gastroenteritis caused by Salmonella. While diarrhea may be mild and clear up after antibiotic therapy is completed, in some cases, it can lead to colitis, an inflammation of the colon, or more serious conditions that cause abdominal pain, fever and bloody diarrhea. “Changes in the gut microbiota underpins many human diseases and the mechanisms that are responsible for altering microbial communities remain poorly understood,” the researchers said. Identifying the mechanism responsible for altering microbial communities could open the door to the development of new therapies, said the paper published in the journal Nature.